Can you believe it? Jergens lotions have been in existence for 100 years!!! I remember that when I was a little girl, Jergens had already been there for a really long time. All the grown ups were using Jergens, and the grown ups' mommies were also using Jergens. Well basically that's how it played out in my mind hahaha. Time flies so fast and Jergens moisturizers have already been in existence for a hundred years, meaning women around the world have had glowing skin for already 100 years! 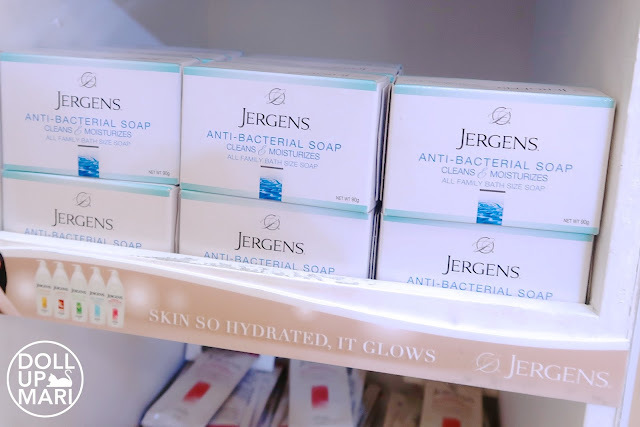 Interestingly, Jergens started out as Andrew Jergens soap factory in 1882, later on venturing into lotions, cleansers, and other toiletries. The brand entered the Philippine market in 1967 when it made Vibelle Manufacturing Corporation its Philippine manufacturer and distributor. 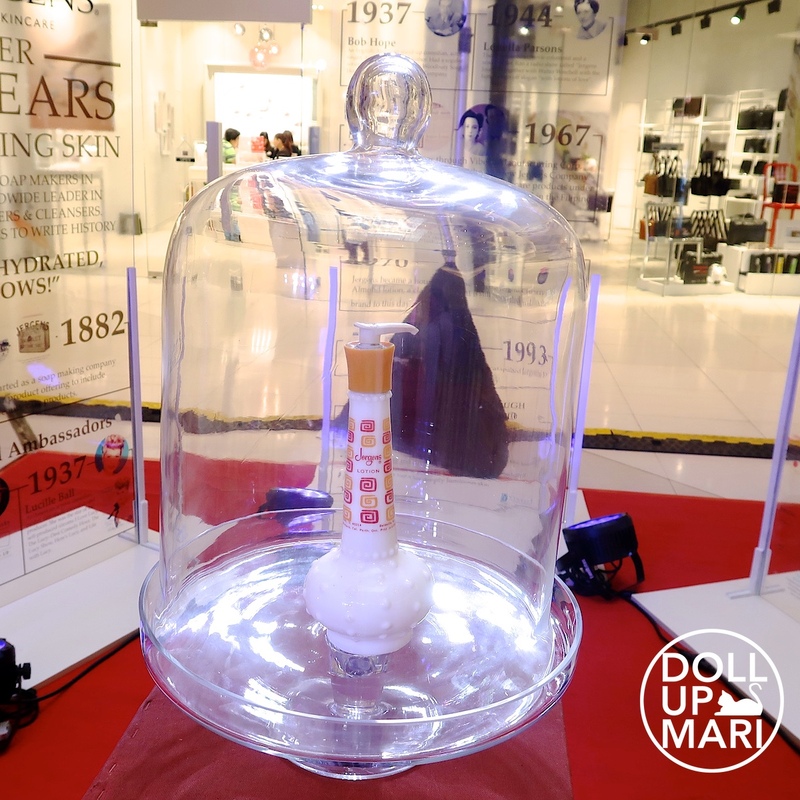 So in the Philippine perspective, much is to be celebrated as well, as Jergens has been in the Philippines for 51 years already! One of the highlights of the event was this suuuuper antique bottle of Jergens lotion from 1917! Crazy!!! This was given as a gift by the parent company to the family that runs Vibelle. There was this sense of awe with how majestic the packaging was back then. I could never envision seeing something as intricate and ornate as this in grocery stores today! 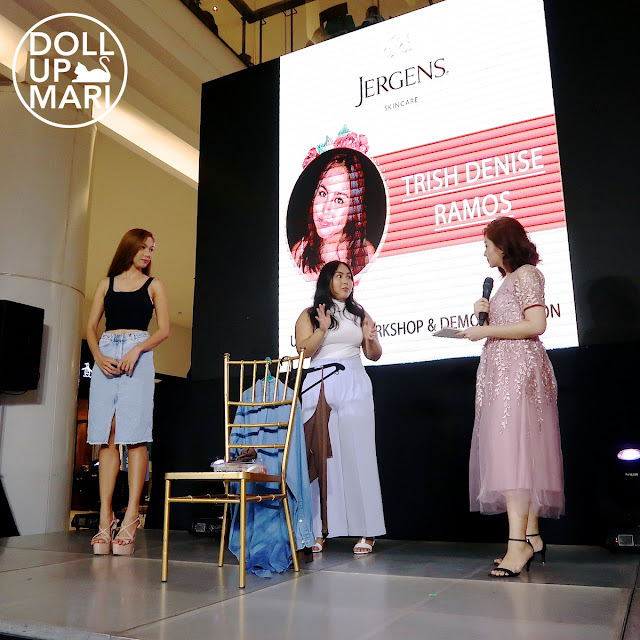 The new Jergens girl is Kim De Guzman! The former PBB Housemate and Miss Philippines Earth-Air 2017 is the perfect epitome of someone who just looks so healthy! I had the privilege to be seated next to her, and we had quite a good chat. She shared that she shot these materials for Jergens for one whole day, and had to be applying lotion for the videos to be produced. By the end of the day, her skin was already super soft and moisturized with all the lotion she repeatedly needed to apply. We also quite a healthy chit chat about pageantry, VTR's, and the like. All Jergens lotions now contain Hydralucence Technology, which aims to provide long lasting hydration for visibly improved complexion and skin texture. The technology also helps to get rid of skin dullness and to powerfully reflect light whilst on the skin, to give the user a healthy glow. And to those who are wondering, the super popular cherry almond lotion everyone's lolas was totally raving over is still here today! It simply became the Original variant. Kim De Guzman was called onstage to talk about her journey as the new Jergens girl. Of course, it's exciting because Jergens is such a big brand that everyone has loved throughout the years. Kim is a fitting spokesperson because she really talks the talk and looks glowing in real life! 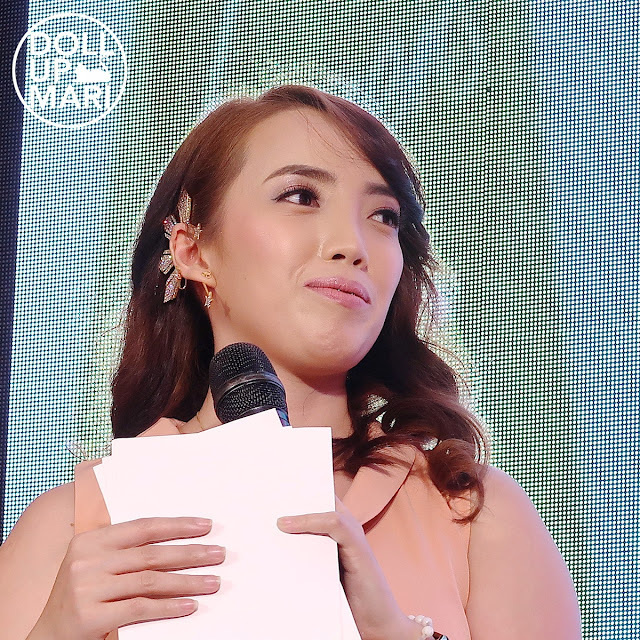 Her skin has a healthy and hydrated look, and she's got a sunkissed skintone a lot of Pinays have. After all, Jergens #GlowInMySkin crusade has been all about teaching girls that any and every skintone can be glowing if skin is healthy and hydrated. This is also the same reason why Jergens has never released whitening variants all these years, even when the Philippine beauty market has been all about whitening for the past 20 years (or even longer). 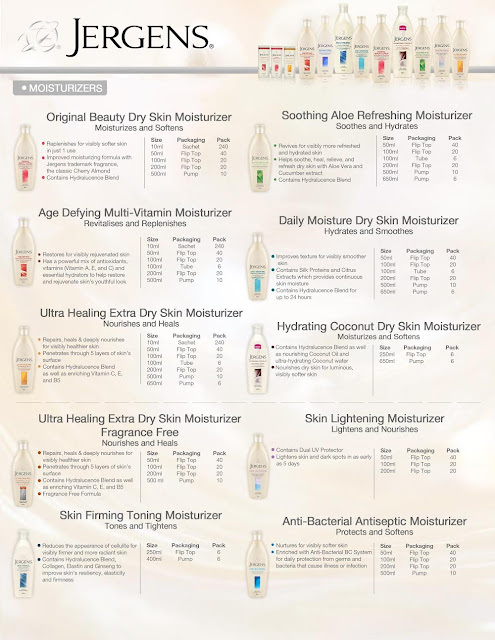 With all the variants and innovations that Jergens has had, there is a Jergens variant for each type of skin need, so that women from all walks of life can be confident with healthy and hydrated skin. They also had mini workshops! There was a fashion upcycling talk, fitness talk, and Instagram selfie 101 talk. The central theme in all of this is that while we can explore a lot of things to look good, like buying new clothes or using phone filters, healthy and glowing skin still is at the core of looking and feeling good. 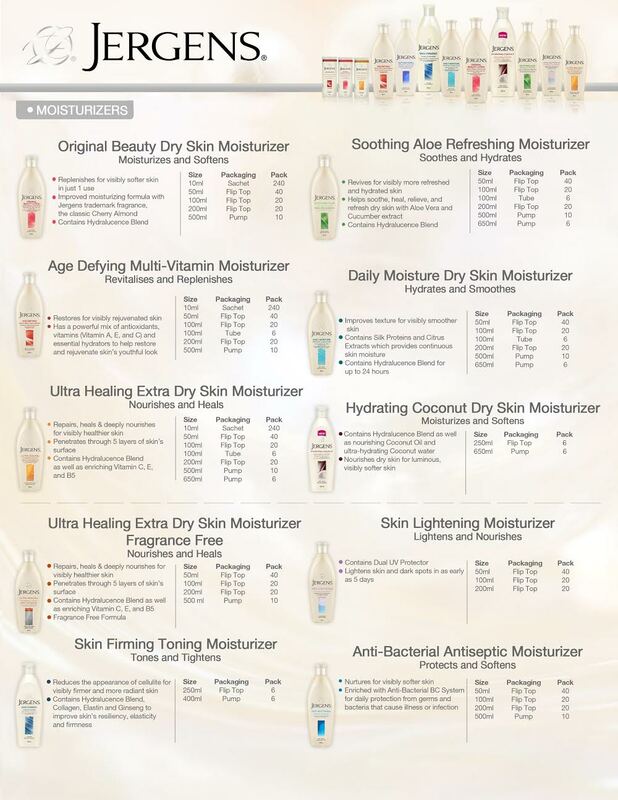 And for those who are curious, here are the current roster of variants of Jergens lotions! Again, Happy 100 years, Jergens Lotions!